FREIGHT SYSTEMS EXPRESS WALES (FSEW) IS ONE OF THE PREMIER INTERNATIONAL FREIGHT FORWARDERS IN THE UK. 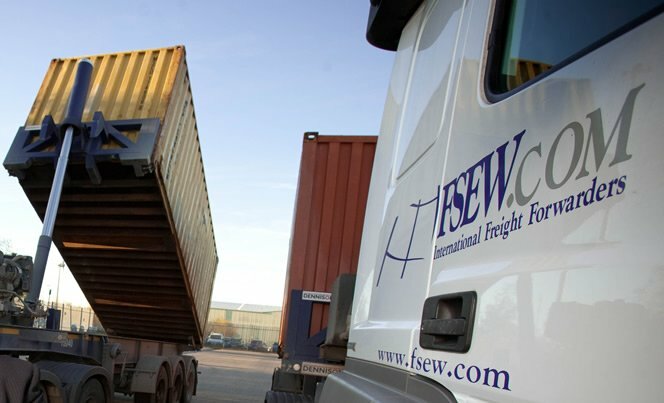 After identifying a gap in the market for a customer orientated freight forwarding company, FSEW was launched by Geoff Tomlinson in July 2002. Using his extensive experience in the freight forwarding business, his goal was for FSEW to provide a prompt, reliable and value-for-money service in the freight industry. This vision has remained clear and has been central to the company's significant growth and success. In 2005 FSEW was named the number one fastest growing company in Wales in the Fast Growth 50 and in 2006, it continued its meteoric rise to be named the 11th fastest growing company. Founder, Geoff Tomlinson said: "Our goal has never been to be a 'fast-growth' company. Our goal has been to build strong, reliable partnerships with our clients, suppliers and staff." Gethin Worgan - Gethin is our General Manager. He joined us in 2004 to ensure that all our drivers know exactly where they need to be. He has a fantastic team working for him. Andrea O'Neil – Andrea is our Financial Controller and has worked for FSEW since its launch. She keeps everybody happy and plays a key role in building great relationships between clients, suppliers and staff. Rhys Sutcliffe - Rhys is our Transport Coordinator. David Lewis - David is our International Co-ordinator.